PDC Approved 4 Star Pole Dancing Instructor Kara Bulpitt. Kara Bulpitt began her pole teaching career in 2009. Kara is a well-respected instructor with considerable industry involvement and contribution. Kara received her 2 references from fellow PDC Approved 4 star pole dancing instructors Emma Nicholson and Katie Whitely. Kara currently runs Opal Dance Studio in Wigan, UK. PDC Approved 4 star pole dancing instructor Emma Nicholson said "Kara is an extremely motivated and inspiring instructor who endeavours to bring out the best in her students, she has a relaxed, friendly and approachable manner which makes her extremely popular among students and her peers. As well as teaching and running her studio Kara runs a competition. ‘The Authentics’ stripper- style competition was the first of its kind when it appeared on the pole dance calender around 6 years ago, Kara had a vision and has worked hard to build it up to the huge national event it currently is with numerous regional heats and a huge loyal following that grows each year. 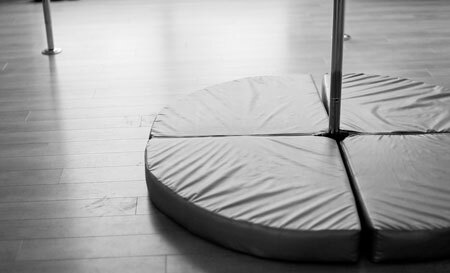 Kara has many years experience within the pole industry and a very good understanding of teaching pole. She is a warm, wonderful person inside and out and I support her Four Star Instructor application." Happy 5th Birthday Stages Pole Fitness! 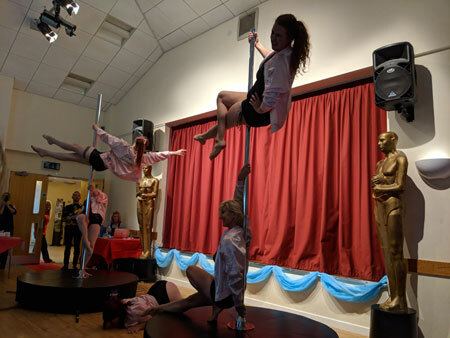 In September of 2018, Stages Pole Fitness in Romford hosted their 4th Annual Showcase & Awards event and tied it in with celebrations for their 5th birthday as a pole school. This event has been organised each year to give students the opportunity to share their poling abilities, skills and tricks with their friends & family and is highly anticipated each year! This year the show consisted of 15 pole performances including solos, doubles, group pieces and guest performers from around the country. Upon arrival and during the interval, guests were offered refreshments and invited to buy tickets for the charity raffle – the results of which were called just before the finale group piece. Lots of guests won fabulous prizes, sourced from local shops and businesses and a total of £168 was raised for the ‘Make A Wish’ foundation. Read more: Princess K Pole Showcase "A night at the movies"
Established Pole Dance Business for Sale. Circadian Fitness Studios pictured left.